Feeling like a throw back to the late 1970's or early 1980's CHILD EATER feels like a blood relative to any number of films from the period. A variation on the supernatural killer on the loose the film works best as a moody homage or nostalgia piece rather than a fright film. Helen is a teen aged girl who doesn't feel like doing anything one night. That's when her dad comes in and tells her that he's ready to take her to her babysitting job. She doesn't ant o go, but her dad reminds her that its bad form to cancel five minutes before she's supposed to be there. Helen goes to the job and meets Lucas a boy who wears silver to keep the monsters at bay. After complaining of noises in his closet Lucas disappears and Helen realizes that he legendary Child Eater, with a thing for fresh eyeballs may in fact be real. The other part of the problem is the pacing of the film is off. Its as if you were listening to a favorite piece of music and realizing that it was a half a beat off. Sequences like the opening one with the girl who got away kind of fall flat, not because they are bad rather because they are cut in such away that they run seconds or fraction of seconds too long. The reveal of the missing eye and the eye in the hand just miss. A sequence a short time later of Lucas in the woods fails to generate any tension because there is no sense of urgency. I suspect that part of that problem is do to with Einar Sv. Tryggvason's score which never really seems to set the mood. Yes there are some scares of the "jump" variety, but to me that left me feeling a bit more distanced from the film since any horror film worth something should be more than people jumping out and going boo. Don't get me wrong it's not a bad film, I just don't think it has anything to make it stand out. I should mention that the film is based on a short film that the director did. From the sound of it the short film seems to be exactly the same as the feature with the addition of some back story. 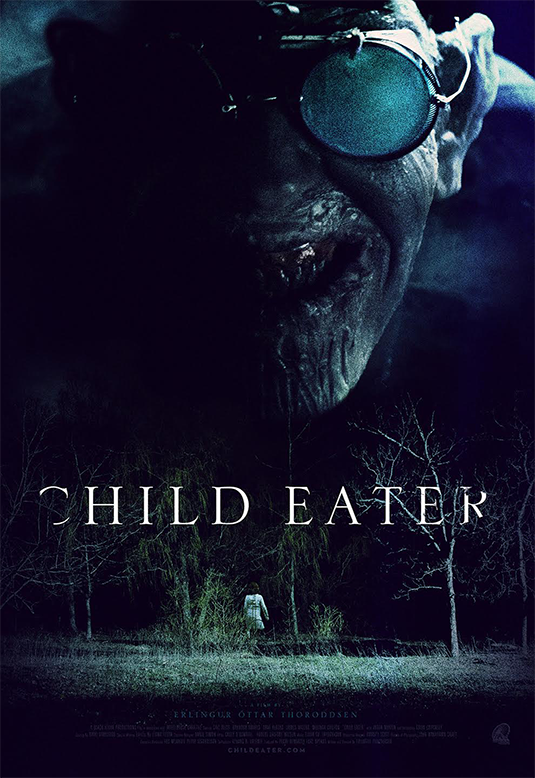 Is CHILD EATER worth your time? Considering that there are a lot of worse one's out there, yes it is. Just don't expect anything that is going to sear it's unholies into your brain.